Pershing Square manager Bill Ackman (Trades, Portfolio)'s top five holdings as of the third quarter are Restaurant Brands International Inc. (QSR), Lowe's Companies Inc. (LOW), Chipotle Mexican Grill Inc. (CMG), United Technologies Corp. (UTX) and Automatic Data Processing Inc. (ADP) according to GuruFocus top 10 holdings data. Ackman, an activist investor, buys common stock in public companies and then pushes for changes so that the market can realize the value of the companies. The manager said in his shareholder letter that net asset value per share has increased 9.7% year to date, compared with the Standard & Poor's 500 index's performance of 3.5% over the same period. The outperformance was primarily driven by improved perfromance from the equity portfolio's large holdings. The $5.21 billion equity portfolio contains seven holdings, with a 60.29% weight in consumer cyclical and a 24.93% weight in industrials. Restaurant Brands International, the holding company of well-known fast food chains like Burger King, Popeyes and Tim Horton's, represents 23.72% of the equity portfolio. Ackman said in his letter even though Restaurant Brands' total shareholder return declined 1% during the quarter and 7% year to date, Pershing Square management "remains confident" it can re-establish strong same-store sales growth at Tim Horton's. 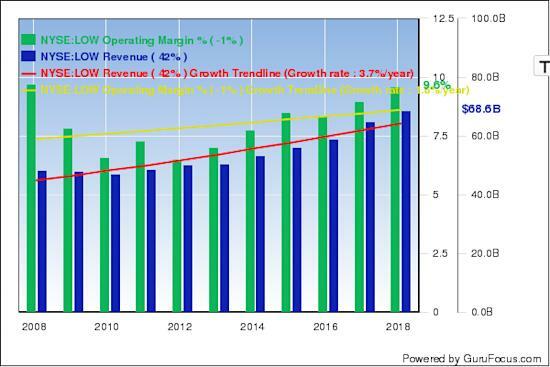 GuruFocus ranks the company's profitability 8 out of 10 on positive indicators like expanding operating margins, a return on equity near a 10-year high of 30.83% and a three-year revenue growth rate that outperforms 98% of global restaurants. The manager also said the company trades at a price-to-free-cash-flow ratio "significantly below its capital-light peers," which include McDonald's Corp. (MCD), Yum Brands Inc. (YUM) and Dunkin' Brands Group Inc. (DNKN). 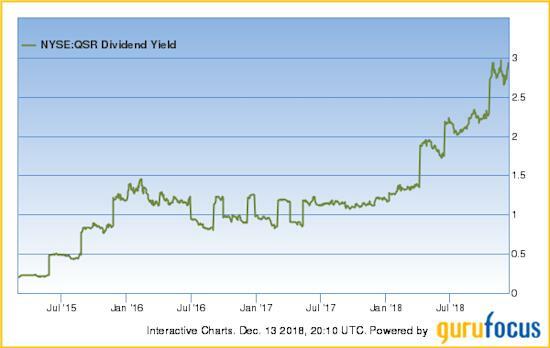 The company's five positive investing signs also include a price-sales ratio near a two-year low and a dividend yield near a five-year high. Other gurus with large holdings in Restaurant Brands include Chase Coleman (Trades, Portfolio)'s Tiger Global Management and Berkshire Hathaway Inc. (BRK-A)(BRK-B) CEO Warren Buffett (Trades, Portfolio). Lowe's, a North Carolina-based home improvement retailer, represents 18.60% of the equity portfolio. 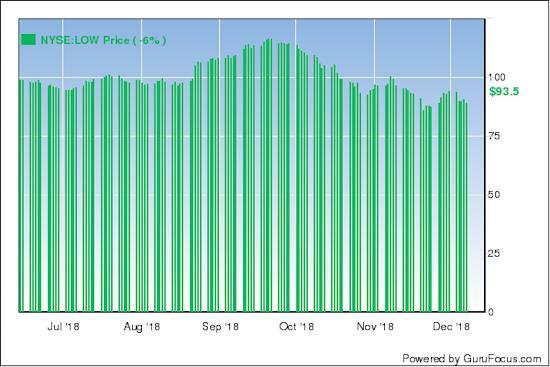 CEO Marvin Ellison said on Wednesday the company's management has reassessed its business and are "diligently implementing processes and technology improvements" designed to position Lowe's as a strong competitive power in the retail space. Ackman said in his letter that although shares of Lowe's increased 21% on Ellison's comments, the stock sharply pared gains on concerns about weakening housing statistics and economic slowdown. 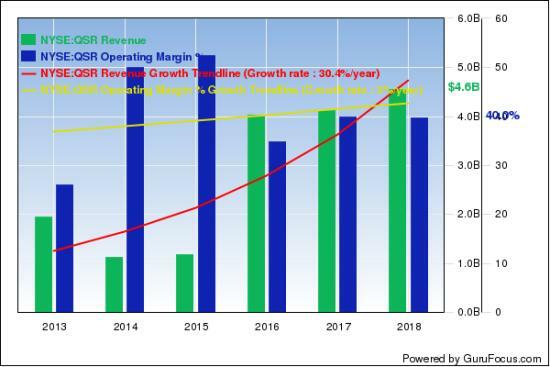 Despite the decline, the manager added Lowe's generates a "meaningful portion of revenues" from less cyclical businesses like repairs and maintenance, moderating impacts from changes in the housing cycle. GuruFocus ranks the company's profitability 7 out of 10 on several positive investing signs, which include consistent revenue growth, expanding operating margins and a dividend yield near a five-year high. Chipotle, an operator of fast-casual Mexican restaurants, represents 17.97% of the equity portfolio. 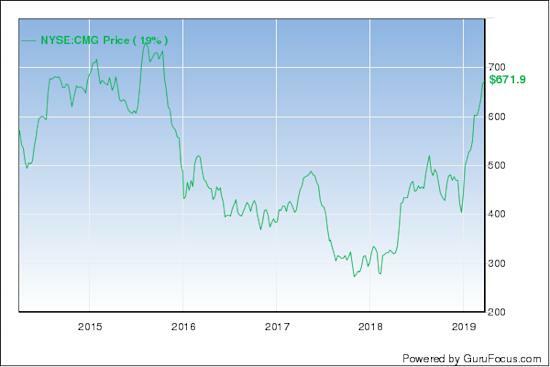 Ackman said in his letter Chipotle has made significant progress in its business organization since CEO Brian Niccol joined the company in March. While shares of the company are up 68% year to date, shares of Chipotle are trading near a two-year high and close to its share price around May 2017. GuruFocus ranks the Denver-based restaurant's financial strength 10 out of 10 on several positive indicators, including no long-term debt, a strong Piotroski F-score of 8 and a robust Altman Z-score of 14.24. United Technologies, a Farmington, Connecticut-based diversified industrial conglomerate, represents 13.28% of the equity portfolio. United Technologies announced on Nov. 27 the company has completed its Rockwell Collins acquisition and, per Ackman's and fellow activist investor Daniel Loeb (Trades, Portfolio)'s suggestions, announced its intent to split the company into three standalone businesses: United Technologies, Otis and Carrier. United Technologies consists of Collins Aerospace and Pratt & Whitney, while Carrier represents United Technologies' former Climate, Controls and Security business. Finally, Otis consists of the former conglomerate's elevator business. Automatic Data Processing, a Roseland, New Jersey-based business services provider, represents 11.65% of the equity portfolio. Automatic Data Processing provides human capital management solutions and other services that satisfy companies' human resources needs. 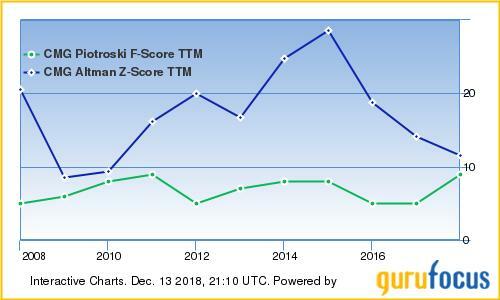 GuruFocus ranks the company's profitability 8 out of 10 on several positive signs, which include a high Piotroski F-score of 7, consistent revenue growth and operating margins that have increased approximately 1% per year over the past five years. The equity portfolio's two remaining positions are Platform Specialty Holdings Corp. (PAH) and The Howard Hughes Corp. (HHC). Ackman exited his position in Mondelez International Inc. (MDLZ) during the quarter. Is 2019 the Year for Herbalife Shorts?